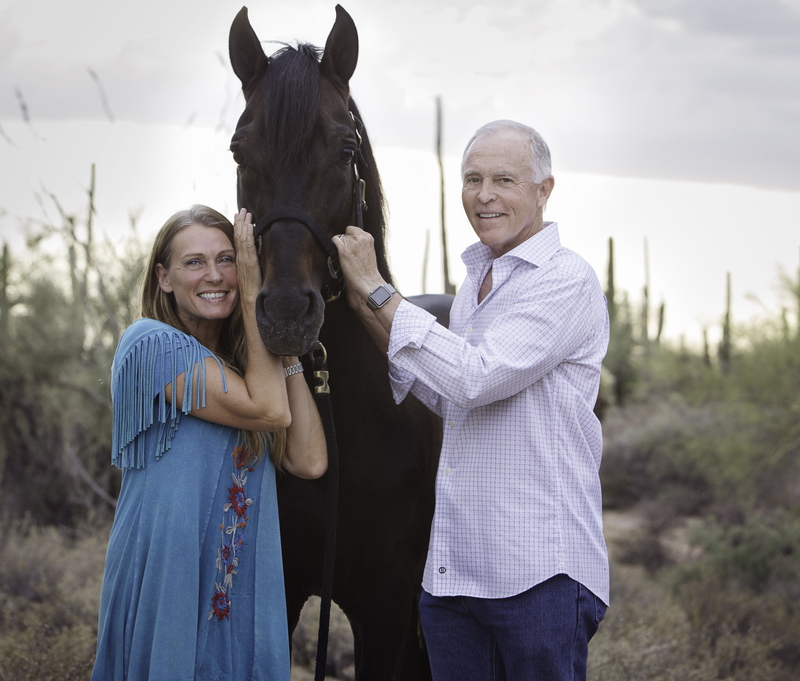 Phil Merrill and his wife Sandra have followed their equestrian dream and now have acquired business opportunities in 2014 at Bar A Ranch / El Samaritano Equestrian Center. Nearing 65 stalls in total, the business has become a full-time operation specializing in dressage. The business has grown to house some of the best dressage trainers and clients in Arizona. Phil had a desire to find himself a Spanish Grand Prix Dressage horse to make his dream complete. Sandra and Phil spent hours looking for Spanish horses both within USA and abroad. Determination paid off in November 2014 when Phil found a horse named Samaritano IX located in the south of Spain. Being a “ Flying Samaritan” himself, Phil was drawn immediately to this special horse. He was a Grand Prix dressage champion and was taking the nation by surprise. Phil and Sandra had the opportunity to go to Spain and meet the magnificent horse Samaritano IX. He was everything Phil hoped for and more. The week in Spain was filled with visits to Spanish Yeguadas and the wonderful cultures of flamenco and old town ambiances of Malaga and Seville. Phil and Sandra returned home to Scottsdale AZ with Samaritano IX and a second stallion named Gabito. Samaritano IX is a horse full of presence and life and melts the hearts of everyone who meets him. It was time to name the new equine facility. An obvious choice emerged embracing both the man and his horse, “ El Samaritano Equestrian Center”. January 10, 2015 was a special day for Phil and Sandra. 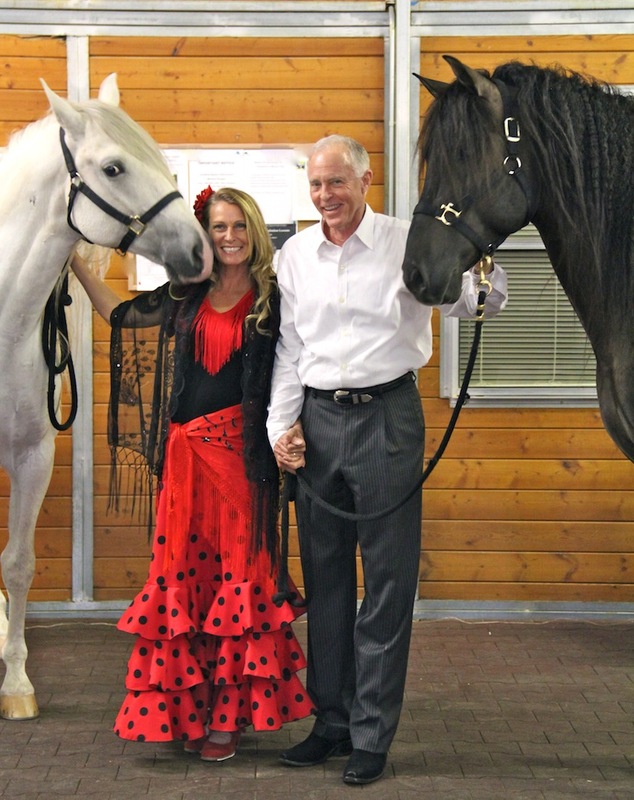 They exchanged marriage vows in their equestrian center shared with close family and friends and witnessed by two Spanish stallion mascots. They could not be happier that they have such a common goal and love for each other, horses, and the breed of the P.R.E. We welcome all to enjoy in our journey of the love of horses and our “Royal Andalusian Riding School” shows which are an equine show currently held October through May.